Virgil started as a highly successful show jumper and came to us as a nervous, antsy, and quick horse who needed an advanced rider. 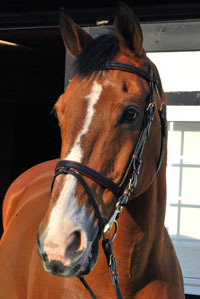 At Gleneayre, he has evolved into a slow, steady, gracious, and accommodating horse, appropriate for any rider. Like a fine wine, “Virg” has only gotten better with age! He is now one of our best teachers.